Check out the new song from J.Tex! It's called "News Man" and is one of the tracks from the upcoming album. Win A Custom Gift from the HepCat Store! Would you like to win a custom gift box filled with items from the HepCat store, worth 1 500 SEK? Do you have a blog? Then this is a contest for you! Blog about your favourite item from the HepCat store. You can pick anything that we have in the store, be it music, clothes, a magazine or pomade. Tell us why it's your favourite and don't forget to link to the item. If you are the winner, we'll keep your favourite item in mind when we put together the custom gift box for your. So how can you enter in this contest? It's simple! Find your favourite item at www.hepcat.se and write a post about it on your blog. Remember to mention why it's your favourite, and link to the item of your choice. When you're done, leave a comment on this post with the name of your blog and a link to the post. This constest will end at midnight on May 20th. The winner will be anounnced on May 27th. Vill du vinna en hemlig låda från HepCat store, med varor till ett värde av 1 500 kronor som är speciellt utvalda för dig? Bloggar du? Då är det här en tävling för dig! Skriv ett inlägg om din favoritsak från www.hepcat.se. Du kan blogga om en skiva, ett klädesplagg, en tidning eller pomada. Finns det i butiken kan du skriva om det. Tala om varför det är din favoritsak och glöm inte att länka till produkten. Om du vinner kommer vi att ha din favoritsak i åtanke när vi plockar ihop vinstlådan åt dig. Så hur gör du för att tävla? Det är enkelt! Välj ut din favoritsak från www.hepcat.se och skriv ett inlägg om det/den på din blogg. När du är klar, lämna en kommentar på det här inlägget med namnet på din blogg och en länk till inlägget. Tävlingen avslutas vid midnatt den 20 maj. Vinnaren meddelas den 27 maj.
Lots of Layrite. Get it at the HepCat store. Layrite Deluxe Pomade has become a world-wide phenomenon. It is hair grease that holds like wax, and washes out like gel. 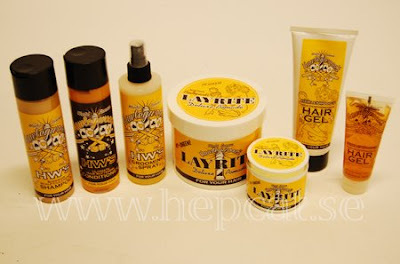 Check out all these products from Hawleywood's at the HepCat store. We have tons of new stuff in the store, and we're still adding more items. Have you seen the coffee mugs and jackets from so-cal speedshop, the hot t-shirts from lovewright or the spring collection from pace and DePalma? And the third Hot Rod Havoc dvd that we just added? You haven't? The click here to see all the new items! Dan put together this nice little video from the Tattoo boat. Notice the sweet music by Nosey Joe and the Pool Kings in the background. Erson, Rickard and Jimmy enjoying the sunshine at Viva Las Vegas. And I thought we had a nice Easter here in Lund. Looks like the boys had an awesome time at Viva Las Vegas. But would it kill them to send us a postcard? We hope everyone is having a rockin' Easter. 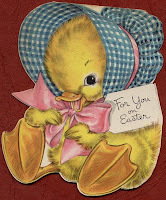 But don't forget about the Easter Punk Extravaganza at Mejeriet in Lund on Saturday! The HepCat store is closed on Friday and Saturday. But our webshop is always open. We've been busy this weekend. Photographer Dan Sköld dropped by Saint 21 for a photo shoot in our brand new studio. We have a lot of new stuff in the store and it takes a lot of work to get good photos of everything for the webshop. Models Johan, Sunna and Eddie did an awesome job. Caroline, Kristopher, Håkan, Rob and Malin worked behind the scenes. Photographer Dan and model Johan. He's got an older brother who sings in HepCat Daddies. Photographer Dan and model Sunna. Those shoes rock. Rob is making sure everything looks right. He was up half the night painting the studio. Johan, Eddie and Caroline in the background. Everybody look down! We moved a lot of stuff to make room for the studio. It's all about the details. Shirt and skirt by Robert&Blad, bandana by DePalma. Pace jeans on the scruffy stylist. A scruffy stylist making sure model Sunna looks good. Photographer Dan and modell Sunna. Suit by Robert&Blad, shoes by Lola Ramona. I'm not sure what Rob is doing to model Johan in this photo... Sailor pants by Robert&Blad, tank top by DePalma. The new stuff will be added to the webshop in the next few days. 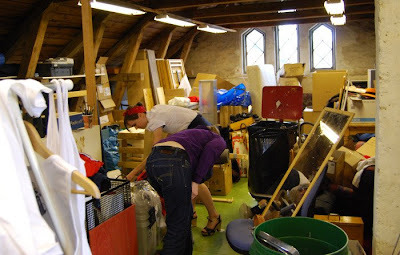 We still have to edit more than a thousand photos before they are ready for the webshop. Or you can drop by Saint 21 and see all the new stuff for yourself. Von Sven Pinstriping Class in Lund! Wanna learn how to pinstripe? Von Sven will be giving a pinstriping class for beginners at Saint 21 on the 2-3 of May. Paint, brushes, design patterns and instruction booklet is included in the price. For more info on Von Sven visit vonsven.com. It's a little hard to tell, but we think it's Patric cutting Skratch's hair. We got another photo from Jimmy's adventures. 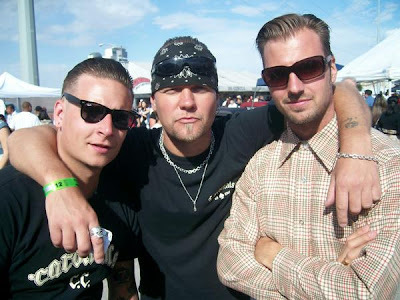 The boys met up with barber Patric Fjellman at Skratch's garage in Los Angeles. Pinstriper Skratch joined the Saint 21 crew at a-bombers old style weekend last year and he will be returning to Sweden this summer. He is planning to attend Jokers and a-bombers old style weekend with us, and will spend a few days working down at Saint 21. We didn't know Rob had a career in movies before Saint 21. Jimmy is having fun in the ol' US of A with our friends Rickard and Erson. But as young Jimmy travels the world, he finds traces of his friends at Saint 21 everywhere. 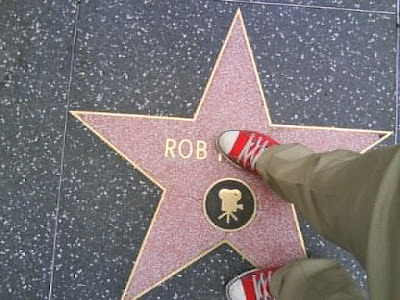 Even on the walk of fame in Hollywood.